Bowe’s Exxon Car Care Center is an authorized dealer for SnowEx Salt Spreaders, the leader in ice control systems, for the Greater Philadelphia region. 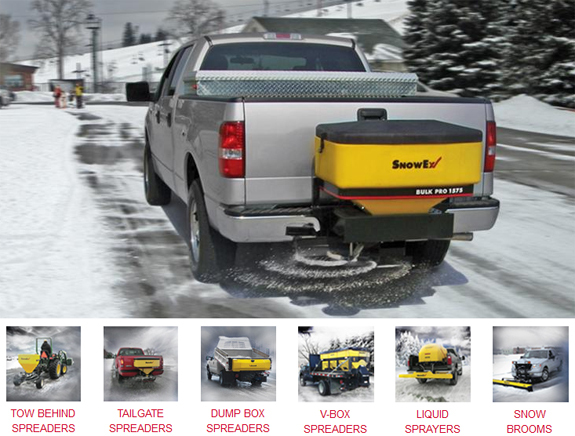 We carry the complete line of salt spreaders and equipment including: tow behind spreaders, tailgate spreaders, dump box spreaders, V-box spreaders, liquid sprayers, snow brooms. Give us a call at 1-610-828-6522 with all of your salt spreader questions our trained staff will be happy to answer all your questions and match the most appropriate SaltEx salt spreader to your particular needs.